Mark has more than a decade of experience in disputes work, having acted for numerous corporations and clients in commercial litigations and arbitrations (domestic and international) on a whole range of disputes. Mark's disputes practise also has a special emphasis on shareholders' and joint venture disputes. He has acted for and continues to act for many clients in such disputes with high stakes in the tens of millions, and with litigations spanning various jurisdictions. Another of his main areas of practice is in banking and insolvency litigation and restructuring. He has advised both creditors and insolvency practitioners in many of the major and more prominent corporate insolvencies in the last decade. Mark has acted for clients in various domestic and cross-border commercial litigations and arbitrations. The cases which Mark has handled include banking disputes, shareholder disputes, employment disputes as well as claims by and against his clients for breaches of fiduciary duties, fraud conspiracy and other corporate-related wrongdoings. He has also acted in domestic and international arbitrations with very substantive interests or amounts at stake. Mark’s dispute practice includes advising and acting for companies and individuals on employment related issues and disputes. He works closely with the human resources directors/legal counsel of several multi-national companies in dealing with their employment related issues, including termination of their employees’ employment for misconduct, misfeasance and breaches of duties, corporate restructurings and breaches of post-termination non-compete obligations; he is the sole legal advisor for some of these multi-national companies. He has also acted for companies and liquidators of companies against their ex-employees and ex-directors for breaches of terms of their employment agreements, fiduciary duties and duties of fidelity. He has acted for and continues to act for local and foreign financial institutions on banking issues, including the enforcement of banking facilities and securities (local and cross border), advising on banking secrecy obligations, anti-money laundering regulations and general banking issues. He has also acted and advised financial institutions and insolvency practitioners in several high profile insolvency restructurings involving SGX main-board listed companies. Mark was part of the team advising China Aviation Oil (Singapore) Corporation Limited in its debt restructuring exercise, involving over half a billion US dollars in debt, which is by far one of the largest successful debt restructuring exercises in Singapore’s history. 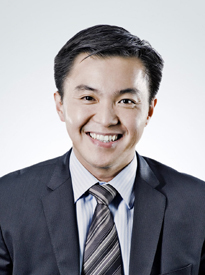 More recently, he has advised insolvency practitioners in several major insolvencies, including advising bank lenders in contesting an application by Pacific Andes Resources Development Limited (the Singapore listed holding company of the China Fishery Group) to restructure its affairs in Singapore. Mark has also acted in numerous domestic and international arbitrations, with substantial amounts or interests at stake. SIAC Arbitration between the franchisor and a franchisee of an international pizza chain. SIAC Arbitration between 2 Taiwanese corporate and a Singapore company relating to their disputes arising from their joint venture in several solar power plants in Italy. SIAC Arbitration between Singapore and Korean parties in relation to a construction dispute relating to a coal-powered power plant in Thailand. SIAC Arbitration between 2 major Indonesian companies relating to their rights and obligations over a major resort enclave in Indonesia. SIAC Arbitration involving a company listed on the Bombay Stock Exchange after a failed bid to acquire a majority stake in a Singapore corporation. SIAC Arbitration involving a major contamination incident at a well known condominium in Singapore. Various domestic and international arbitrations arising from allegations of breaches of contract.